At Tyrecare, we understand that your tyres are a priority in keeping you safe and on the road, however, it is not always convenient to get into a quality tyre dealer. Whether you need a budget tyre for a run around, performance tyre replacement or if you are a company or fleet car drivers,relax and let Tyrecare take the strain. Phone to discuss this service on 01744 27214. 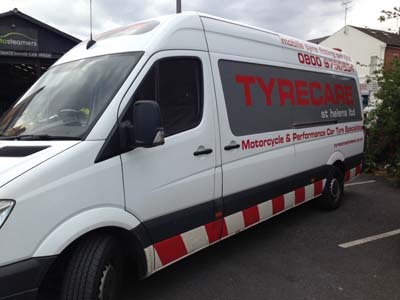 We can deliver and fit your tyres at home or your place of work. The service is fast, reliable, professional and keeps you safely on the road. Trust in a local company established since 1972. Please keep an eye on this section to keep up to date on our exciting special offers.